This 15,000 square foot residence, designed by Architect Fritz Foltz (Treat & Foltz) was built for the Goodman family in 1892. The interior finishes represent the best design and materials available through the Goodman family owned lumber business. The structure was adapted for use as a military academy in the 1940’s and was returned to use as a single family residence in the 1970’s. 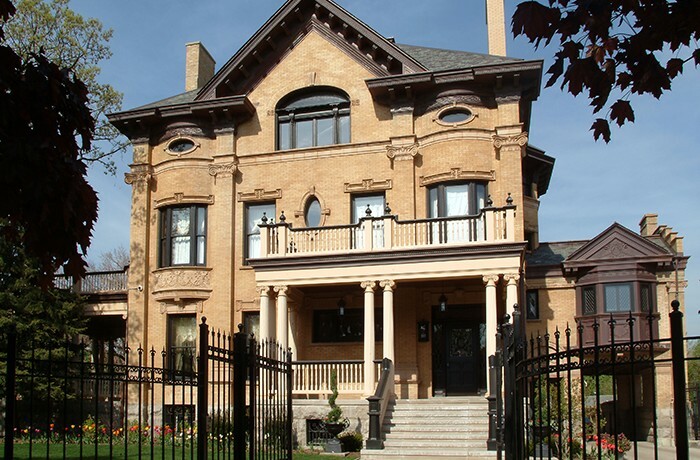 HPZS provided sensitive restoration and remodeling of the structure, bringing the building’s infrastructure up to 21st century standards, reconstructed the previously demolished east and south porches based on historic photographs, and worked closely with the Illinois Historic Preservation Agency to obtain a tax freeze for the new owners.